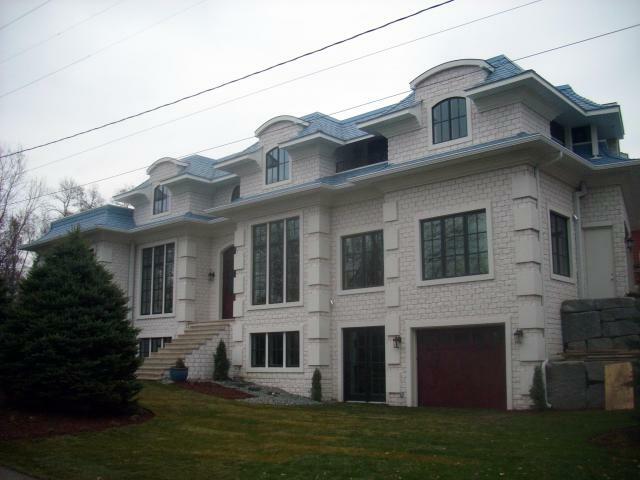 When his clients requested a sky blue colored slate roof to remind them of their native Russian architecture, Tom Sullivan immediately thought of DaVinci Roofscapes. “I had heard of the custom color capabilities offered by DaVinci Roofscapes for their realistic-looking shake and slate roofing tiles made of polymer and this was the ideal solution for my clients, says Sullivan, director of commercial sales at Storm Pro Exteriors in Minnesota. The finished 9,000-square foot custom home in the Lake Minnetonka area of Minnesota took nine months to complete and shines out with its European influence. “The beautiful two-stepped roof design truly enhances the architectural characteristics of this home,” says Sullivan. “I’d recommend this roofing product to anyone because of its realistic appearance, 50-year limited warranty and the ability to get the custom color that the homeowner desired. Plus, the installation went so smoothly that I’m looking forward to using DaVinci products on future projects. Valoré synthetic slate roofing tiles are made using DaVinci’s proprietary VariBlend™ technology to form varying shades from tile to tile creating an infinite number of color shades. Each single-width synthetic slate roofing tile is carefully crafted using only virgin polymer resins to guarantee a sustainable product. Valoré Slate tiles come in 12-inch tile widths with a half-inch tile thickness, making it a lightweight yet realistic slate roofing tile option.